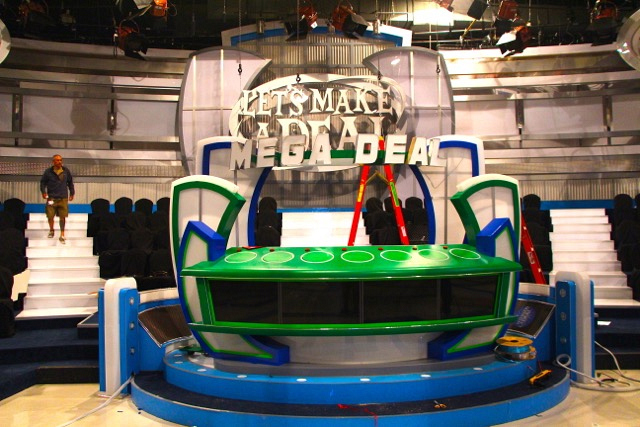 Let's Make a Deal: Insider's Blog Get all the behind the scenes scoop straight from the Let's Make a Deal producers! On Monday, we debuted our mega-sized seventh season of Let's Make a Deal, and believe me when I say there are a lot of surprises in store. For this week only, if our Trader wins the Big Deal of the Day, they'll be eligible to play for the Mega Deal where they have the opportunity to win every merchandise prize seen in the episode. That's close to $100,000 in prizes up for grab each day—the largest single win we've ever offered on the show! So, how did the Mega Deal come to life? Well, it's an idea we've been playing around with for quite a few years. 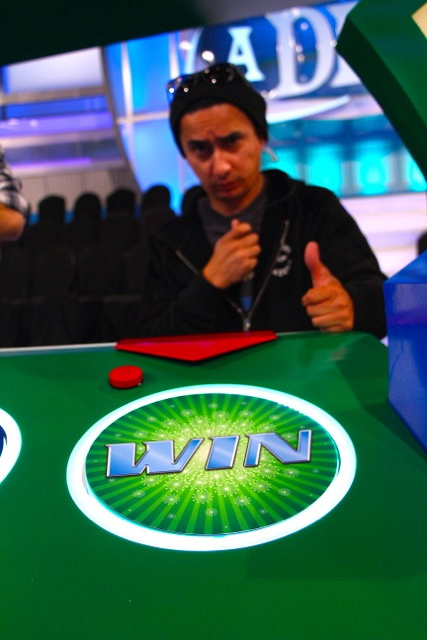 In season five we thought of doing a "winner takes all" episode where the Big Deal of the Day would be every prize in the show. For some reason, that episode kept getting pushed back and we never got around to planning it. So when we were looking for a way to kick off season seven, we thought about revisiting the "winner takes all" episode and turning it into a week long event. And thus, the Mega Deal was born. 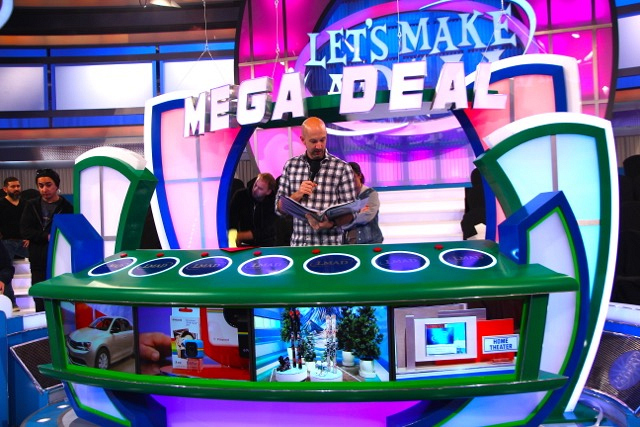 We've posted some exclusive, behind-the-scenes photos of the Mega Deal being installed on set, but if you want to see it in action, you've got to watch this week. Mega Deal week is just the beginning of an amazing new season of Let's Make a Deal. Other highlights this year include our first "Take Your Daughter to a Game Show" day, a "Nerds Rule!" episode, and the celebration of our 15,000th contestant. We've been working on this season for a few months, and we can't wait to share it with you! Tell us what you think on our Facebook page at facebook.com/LetsMakeADealCBS, or on Twitter @LetsMakeADeal. We tape 175 episodes of Let’s Make a Deal over the course of just a few months. And, as you know, a show like ours is different every single day. Wayne Brady and Jonathan Mangum constantly amaze us with the way they can create hilarious, unplanned moments in every show. But the other parts of the show (the way prizes are dressed and shot, the props, games, zonks, etc.) are all meticulously planned. With the frenetic energy and pace of the show, you might not realize just how much detail goes into some of the aspects of the show. For example, this is Earl. He’s sitting in my office now, but he was on the Thanksgiving episode last year. When we started planning the episode, we knew we wanted to start with turkeys for the holiday. Obviously we weren’t going to use real turkeys, and the paper turkeys you see in classrooms were a little too fragile for us. So our prop master Lisa and her team came up with these guys. They started with fake pumpkins (because we taped it in August before real pumpkins were in season). Then, in a process I still don’t understand, they made the beak and the head by shaping and baking it in clay. 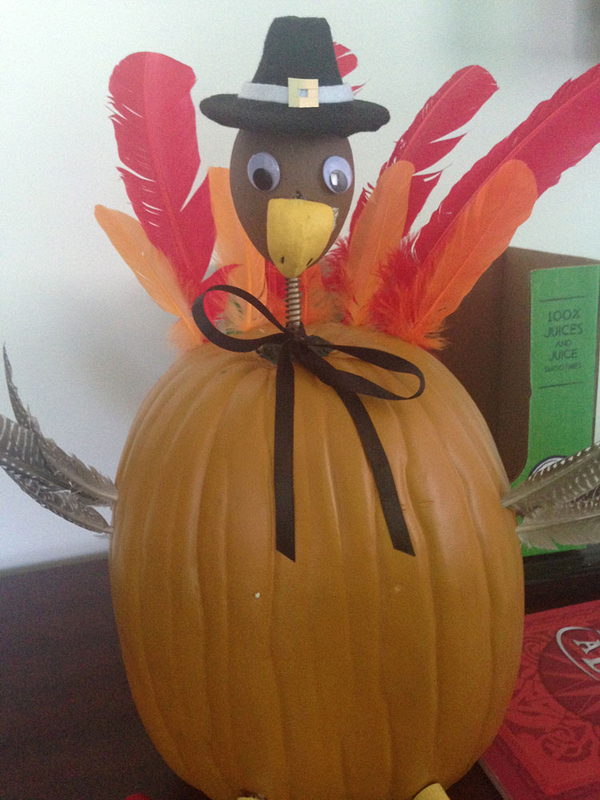 They created the hats out of felt, added feathers and eyes and bam!—pumpkins dressed like turkeys dressed like pilgrims. All for just a few minutes of air time. 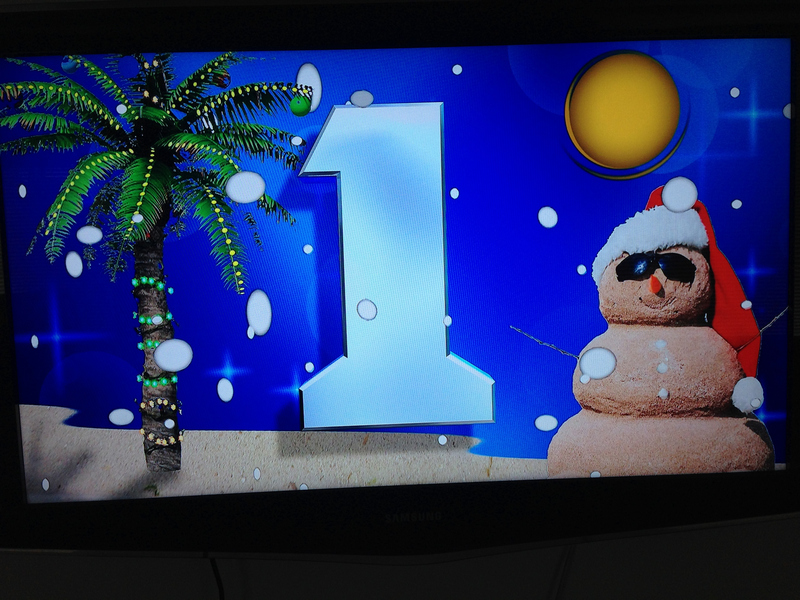 And this is a graphic that you’ll see next to Curtain 1 on our “Christmas in July” episode this summer. This is not a graphic that we pulled off of a stock footage website. It was the work of our Technical Director Robert. For Christmas in July, we have sand instead of snow. He got this by getting our director Lenn to shoot several minutes of sand on our set (BTW, have you noticed that almost all of our tropical trips are sitting on platforms that are covered with sand?). And for the Christmas lights, we shot some footage of real Christmas lights against a plain background. Then Robert, with all kinds of computer wizardry, added them to a picture of a palm tree and made them glow and blink. This was taken during rehearsal one day. For this particular episode, we wanted to see if we could “beam” Tiffany onto the set like they used to do on Star Trek. Our Director Lenn and Technical Director Robert came up with a way to do it that looked pretty great and still allowed Tiffany to be able to react and talk to Wayne live so that it didn’t look like a pre-taped bit (because it wasn’t). Once they got that solved, they realized they could make Tiffany look 10 feet tall or 2 feet tall if they wanted. So we all (including Tiffany) had a little fun with that. You might see a Smurf-sized Tiffany dancing on some furniture in that same episode. These are just a few examples of the extra mile our crew goes to week in and week out to keep the show fresh. When you spend a lot of time on set, you want to spend it with good people. And we’ve got the best. Monday, October 6th marks the beginning of Super Deal week, where any of our Big Deal winners could take home an extra $50,000 in cash. 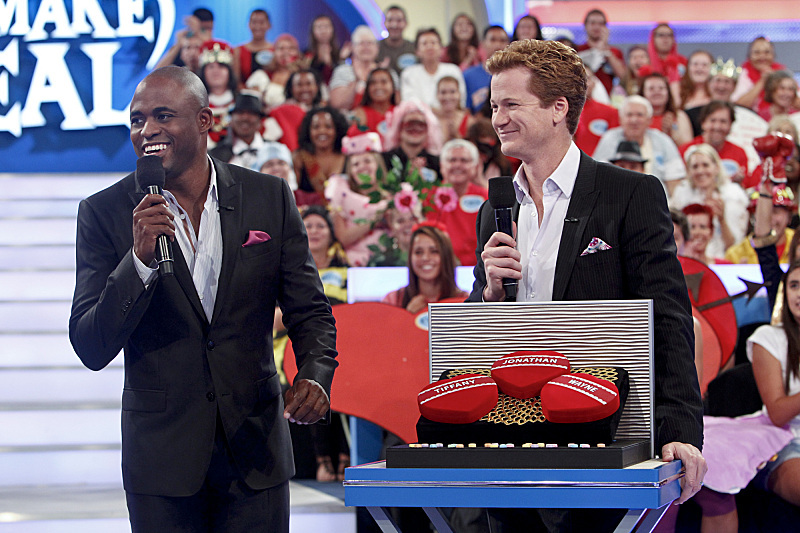 But you’ll also want to tune in that day to see the debut of a brand new game on Let's Make a Deal. Get ready for “Accelerator”! This game is huge! 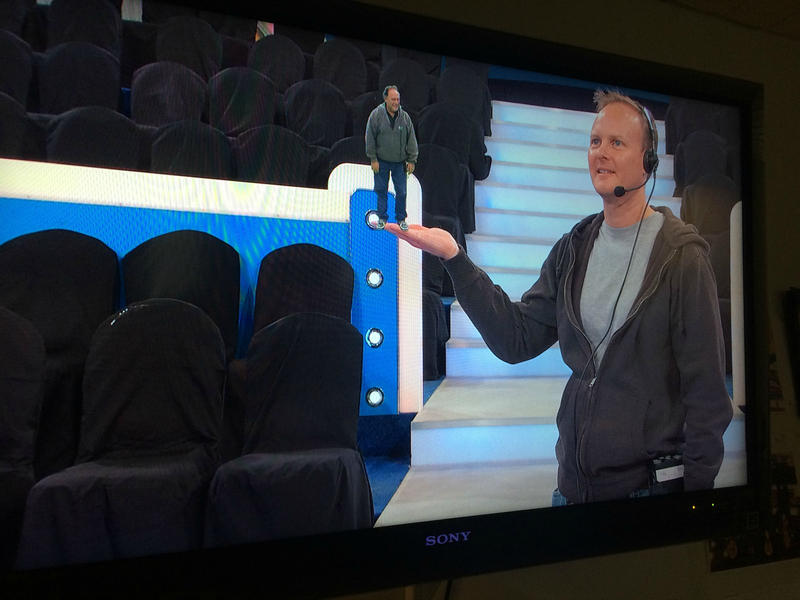 It’s one of the biggest set pieces we have on the show, and it takes up a majority of the stage when it’s played. The idea behind the game started with a simple thought. We wanted a new “wheel” game on the show, but we wanted it to be different from any other wheel that’s currently on TV. Since our early days of taping the show in Las Vegas, we’ve always toyed with the idea of doing a game inspired by a roulette wheel, so that was the basis for “Accelerator”. But here at Let's Make a Deal, we like to do things a little differently. “Accelerator” is actually an inverted roulette style wheel, meaning the ball used to play the game drops into slots in the middle of the wheel, not on the outside. Using the inverted design means the ball stays on the wheel longer before dropping into a slot which adds more drama to the game. 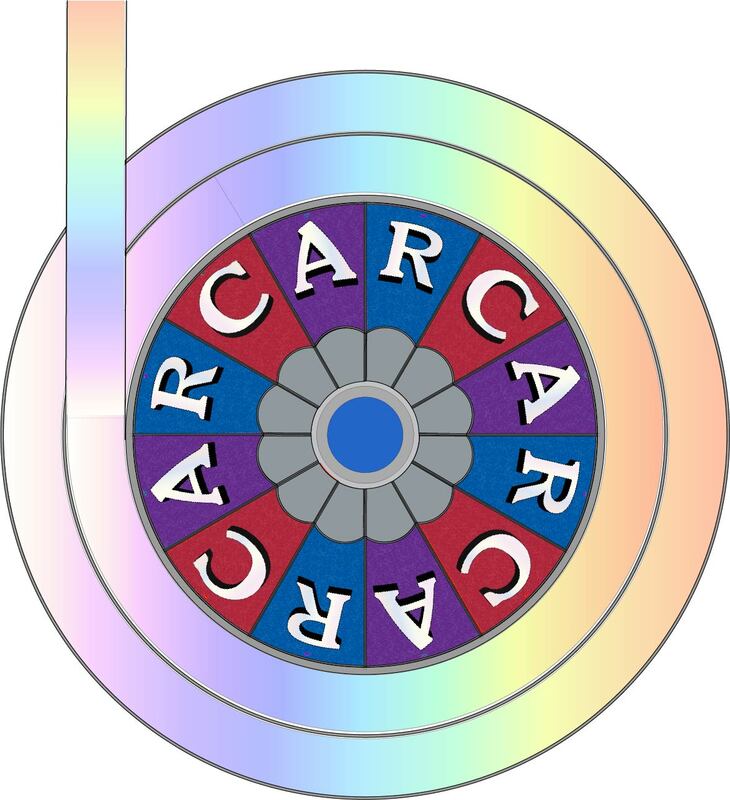 The wheel consists of 12 slots, each one being a letter in the word “CAR”. The object of the game is simple—roll the ball onto the wheel and collect the letters to spell “CAR”. Each time a letter is collected, all the corresponding letters are removed from the wheel and replaced with Zonks. The Trader is offered money after each successful play of the wheel to stop and leave the game. If a Trader makes it to the final spin, they have 4 slots on the wheel that will win them the car and 8 Zonk slots where they’ll leave with nothing. Although it can look intimidating to see all those Zonks on the wheel, the odds of winning are 1 in 3. . . the exact same odds of winning the Big Deal of the Day. The final spin on “Accelerator” is exciting to watch as the ball bounces in and out of slots before settling into its final destination in hopes that the Trader will win a car. So, will our first Trader to play “Accelerator” win a new car? And, will someone win the Super Deal and take home more than $70,000 in cash and prizes? You’ll have to tune in to find out! After you watch, let us know what you think of the game by posting on our Facebook page or tweeting us @LetsMakeADeal. We’re thrilled to be making our Season 6 debut in glorious high definition! Besides being in HD, season 6 also includes some other exciting additions. First up is our brand new car game “Accelerator”. 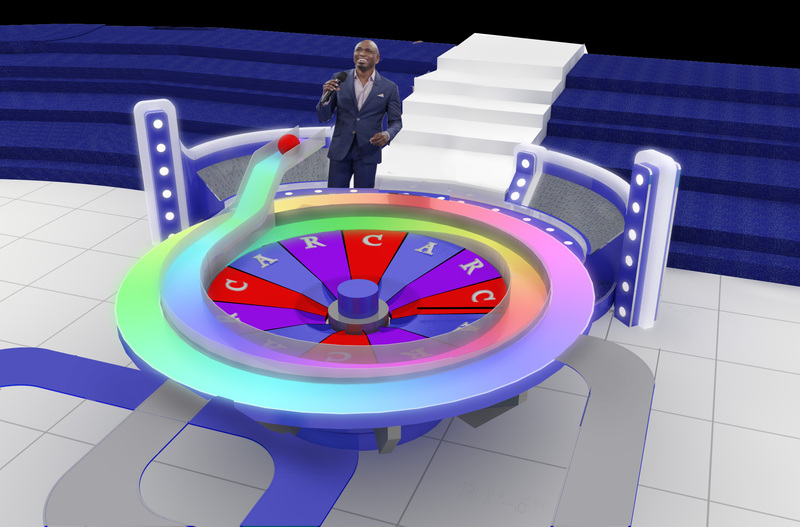 “Accelerator” is the biggest game we’ve ever built for the show and is based around a giant roulette style wheel in the center of our stage. It’s been a ton of fun to play and we look forward to hearing what you think of it when it debuts this November. Also in November, we’ll be airing the first ever musical episode of Let's Make a Deal. Every act of the show involves singing from either Wayne, Jonathan, or our contestants. We were so happy to see our contestants get into the spirit of the show, and some of them couldn’t wait to show off their vocal prowess! The musical episode is the ultimate example of the spirit of Let's Make a Deal, and it’s something you won’t find anywhere else. Our motto while taping the shows is always “Have fun, and anything goes!”. It’s that philosophy that’s helped us produce over 1,000 episodes of the show. But if you’re a fan of Let's Make a Deal, you know we like to do things a little differently than everyone else, so we decided NOT to celebrate our 1,000th episode (like so many other shows do). We decided to celebrate our 1,001st episode! Our celebration will air on March 30th, 2015 and it’s going to be one heck of a party! Season 6 is set to be our best season yet, and we couldn’t have done it without you! Our season 5 ratings were the highest ever for the show, and you’ve made Let's Make a Deal the number one game show on both Twitter (@LetsMakeADeal) and Instagram (@letsmakeadealcbs). Thank you!!! Catch the season 6 premiere of Let's Make a Deal this Monday, September 22nd and be sure to let us know what you think on our Facebook page! Thanks for watching, and keep on dealin’! Ever wonder how the contestants on Let's Make A Deal get their incredible costumes? Executive Producer Mike Richards gives a walking tour of the costume shop and explains how all the magic happens! Watch below. What had Monty Hall do a spit-take in the middle of his family room? Executive Producer of Let's Make A Deal Mike Richards explains how the game show legend called up and made sure the show was keeping the long standing traditions of greatness that we have come to expect. Watch below. Season five starts September 23rd and we can't wait to show you what we've been working on for the last couple of months. First off, we have a brand new set! Our famous doors got a makeover and they're looking better than ever. Although the overall look is the same, our Production Designer, Shaun Motley, took the opportunity to give the doors a fresh look. The doors for the Big Deal now feature three dimensional numbers that light up and a new paint texture that gives them some extra sparkle. On the interior, the prize bays have actually shrunk. Taking some space away from the interiors allowed us to line up all three doors in a row as opposed to overlapping like they did in the previous four seasons. 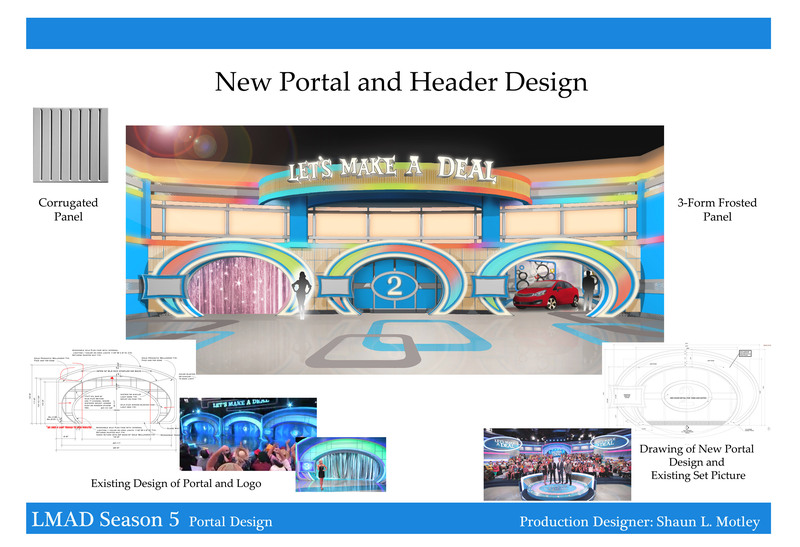 We've also added new side walls to give the set a 360 degree feel and a brand new "Let's Make a Deal" header is featured above the doors. Our makeover didn't stop at the main set, a few of our most popular games got a facelift including "Movin' on Up", "Dice Duel", and "Smash for Cash". Look for those new set pieces to debut throughout the season along with a brand new game "Big Shot" where traders could win up to $30,000 in cash. As always, thanks for continuing to watch and support LMAD. Season four was our highest rated season ever, and we couldn't have done it without you. 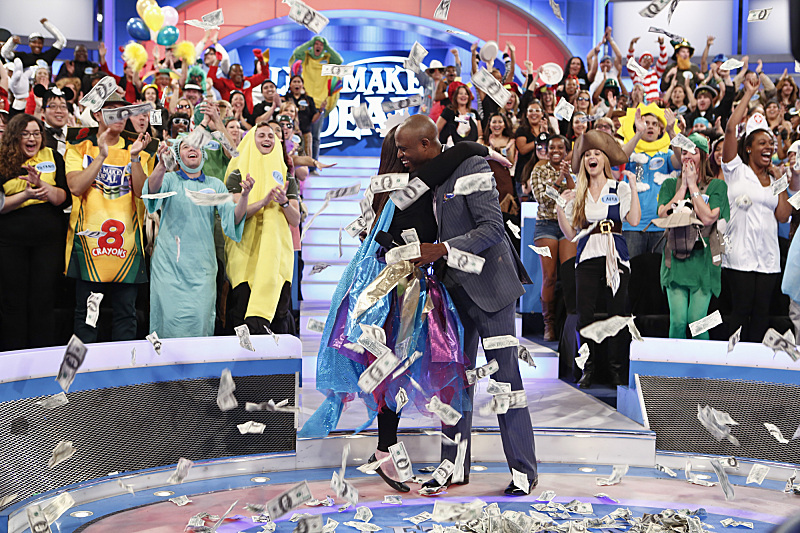 Continue to follow us on Twitter @LetsMakeDealCBS, and be sure to follow our new Instagram account at LetsMakeADealCBS for an exclusive behind the scenes look at all things LMAD. Don't forget to tune in to the season premiere on September 23rd and keep on dealin'! Last week, we had the privilege of giving away over $70,000 in cash and prizes in the Super Deal during #BigMoneyWeek. Congratulations to Alana, and thanks for being a great contestant. But we're not done giving away big money just yet. Next week, we have the return of another exciting feature from earlier in the season. And it involves giving away $100,000. Every day for a week, we'll have $20,000 up for grabs somewhere in the show. It could be behind a curtain or in a box, or it could be the prize for winning one of our games. Knowing that the big money is lurking somewhere makes our contestants even more excited and nervous than they normally are, which makes for really fun viewing! We had a week like this last fall, where we gave away $20,000 every day, and everybody loved it. So we were more than happy to do it again. So tune in the week of May 6-10 to see who takes home the big bucks, and you might even see something you haven't seen before in the 4 years of our show (but I won't spoil that here!). And, we're in the planning stages now for the beginning of season 5, so if you have a great idea for a zonk, don't forget to submit it at www.cbs.com/zonk. Until next time, keep on dealing! 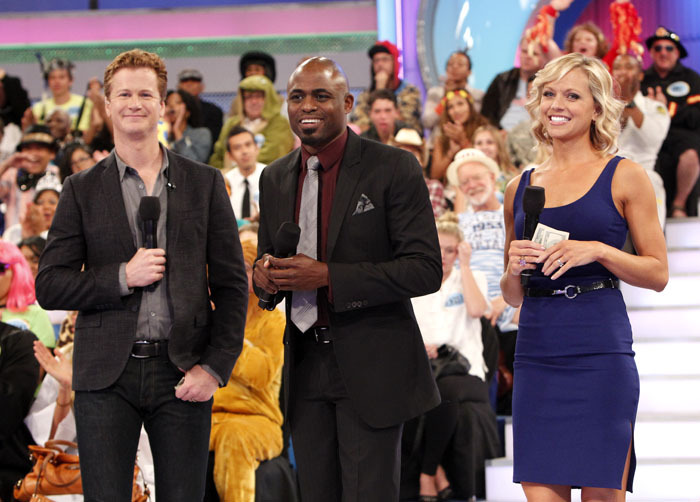 We've given away a lot of money on Let's Make a Deal during the past 3 and a half seasons. Last season alone, our contestants won over $1 million in cash. And we're hoping to beat that total this year, because we have a lot of cash up for grabs in the next few weeks. As you may have heard, the week of April 22-26 is #BigMoneyWeek on CBS Daytime. As part of Big Money Week, the Super Deal returns for one week only! For the uninitiated, the Super Deal allows a trader who wins the Big Deal of the Day a chance to win an additional $50,000 in cash by selecting one of 3 envelopes. If they choose the right envelope, they keep their Big Deal and win $50,000 on top of it. But if they choose a wrong envelope, they lose the Big Deal and go home with only $1,000 or $2,000. It's a big risk for a big reward. If you watched our 2 weeks of 50th anniversary specials in February, you know we tried to give away the Super Deal then, but we couldn't do it. So we're going to try one more time. Tune in April 22-26 to see if any of our traders can cash in and take home over $70,000 in cash and prizes. We also want to let you know about a special episode the following week. It's called our Teacher Appreciation show. We get a lot of teachers that come to our show. They're always a lot of fun, and they make great contestants. So we decided to have an audience filled with teachers playing for fabulous cash and prizes. And they did not disappoint. This episode airs Wednesday, May 1, which just happens to be the first day of Teacher Appreciation Month. We have more special shows coming up with more chances for our contestants to win big bucks in May, but we'll tell you more about those in a couple of weeks. As always, thanks for watching, and keep on dealing! 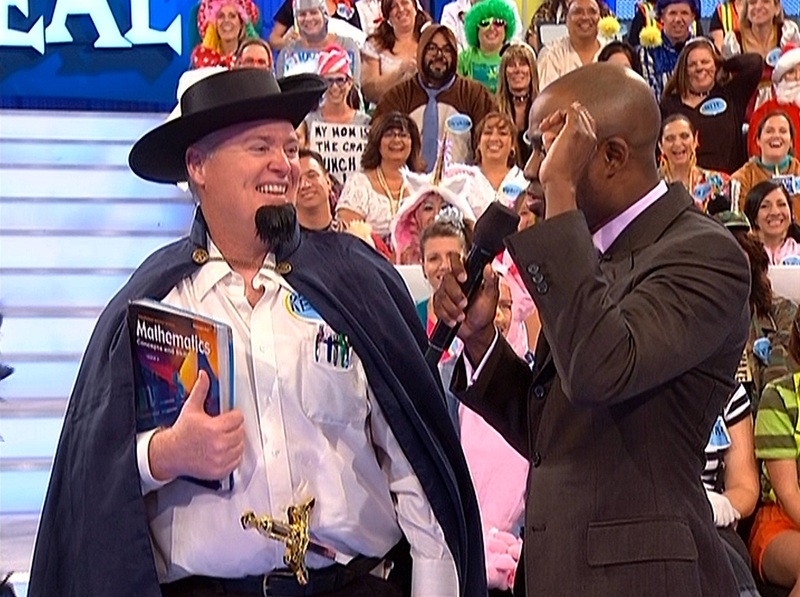 April 1st brings a special episode of Let's Make a Deal to your TV screens… it's our first ever "Zonk Redemption" episode. Throughout four seasons of LMAD we've zonked hundreds of traders. So, we thought it might be fun to invite them back for a second chance to play. Taping this episode was like hosting a family reunion. It was great to see so many familiar faces! The audience was electric and they were thrilled to be back on the LMAD stage. You can't help but cheer for these contestants as they try to turn their luck around. Some people left as winners, while others just couldn't seem to avoid a Zonk. After we completed the show, many members of the cast and crew commented that is was the best episode of LMAD that we've ever taped. Personally, it's my favorite episode that we've done so far, and I think you'll really enjoy it. I'm also happy to report that LMAD continues to have its highest rated season ever! From all of us at LMAD – THANK YOU!!! We love producing this show and we're thrilled to know that so many of you love watching it. There's also a new way to watch full episodes of LMAD by downloading the CBS app for iPad and iPhone from the Apple App Store. 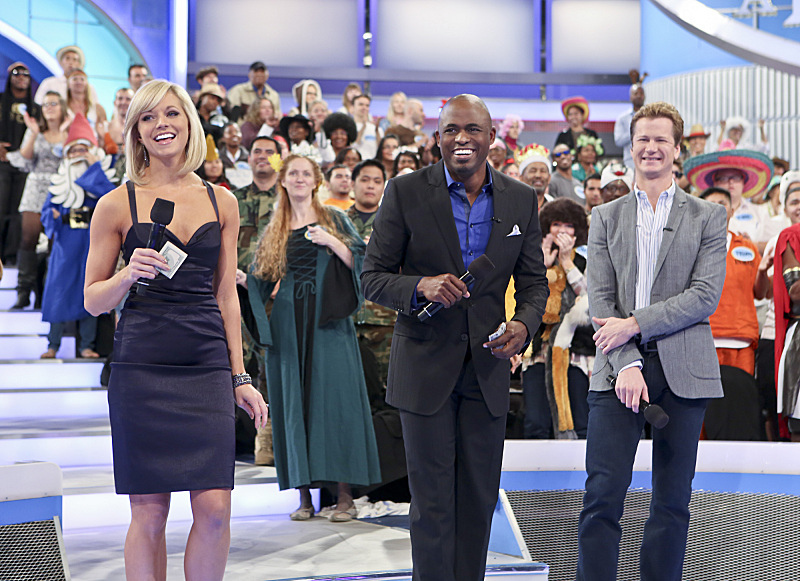 As always, be sure to follow us on Facebook at www.facebook.com/LetsMakeADealCBS and on Twitter @LetsMakeDealCBS. Remember – if we can get past 100,000 Twitter followers, Wayne said he would make a special Twitter quickie worth $2,000! February is a big month for us. Our Valentine's Day show is coming up this week, which is always a lot of fun. But, beginning next Monday, February 18, we begin a two-week celebration of the 50th anniversary of Let's Make a Deal. The pilot for the original version of Let's Make a Deal, starring Monty Hall, taped in the spring of 1963. That makes 2013 the 50th anniversary of the show. Very few shows are remembered 50 weeks later, much less 50 years later. So we are marking this milestone with two weeks of special shows. Each of these anniversary shows will have one deal that pays tribute to the history of LMAD. We'll do a little bit of everything, from trivia games based on the history of the show to incorporating classic clips into new deals. And, for those two weeks, we're also bringing back a special feature called the Super Deal. 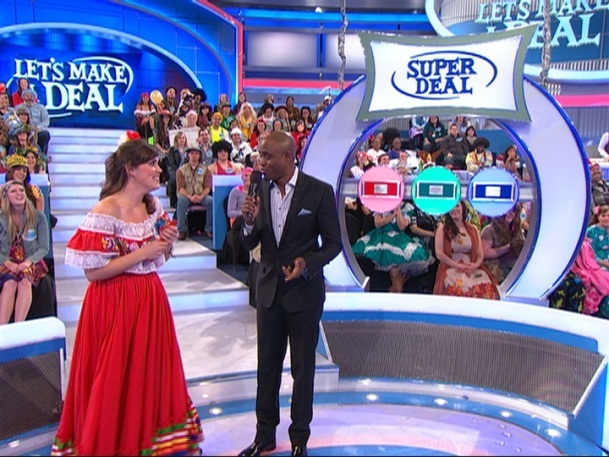 If our trader wins the Big Deal of the Day at the end of the show, they can then risk losing that Big Deal for a 1 in 3 chance of winning an additional $50,000. If you've been watching for a while, you know that we played the Super Deal for 2 weeks last year. It was a lot of fun, so we had to bring it back again! And, the anniversary shows will culminate in a great celebration with an appearance by the show's co-creator and original host (and our creative consultant) Monty Hall. Monty will make a deal with one lucky trader. If you're a fan of the original LMAD you won't want to miss it, because the prizes will be displayed by the show's original model, the lovely Carol Merrill! It was a great treat for all of us to watch these 2 pros in action. And it's been a lot of fun for us to be a part of the legacy of this terriﬁc franchise, 50 years later. Hope you enjoy the shows. Keep on dealing! Get ready! The season four premiere of Let's Make a Deal is Monday, September 24th. Here at the studio, we've been taping shows since the first week of August and we're excited to finally get to share them with you. Every season we try to add new elements to the show. 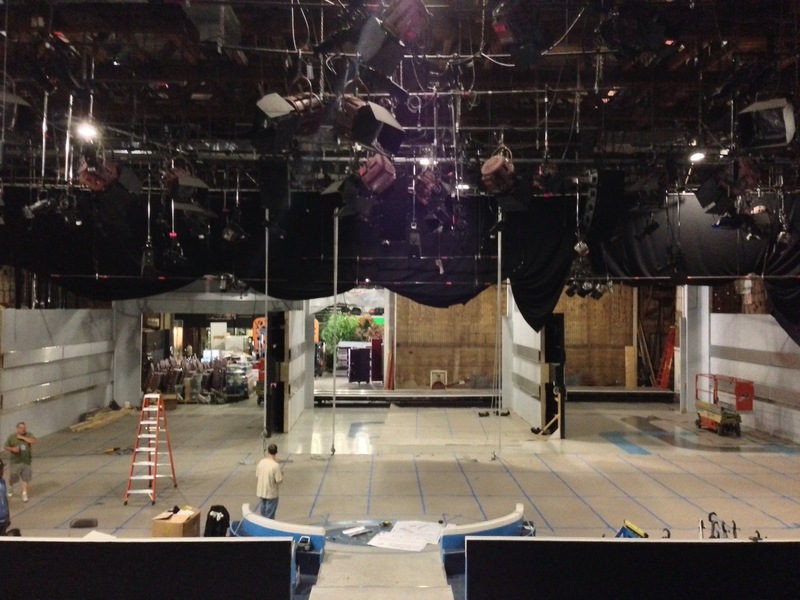 Whether it's updating our set, building new zonks, or creating new games, everything on LMAD goes through a creative evolution. In today's blog, I wanted to take you through the development of one of our newest games, "Money in the Bank". Interestingly enough, the idea for the game started with our Twitter followers. During our hiatus we asked our Twitter followers which they would rather play for - a new car or cash. They overwhelmingly told us they wanted to play for cash. So, we went to the drawing board to come up with a new cash game to add to the show. For this game, we focused on a title; "Money in the Bank". It's a catchy title and one that tells you exactly what the point of the game is - to put your money in the bank. We started with the idea of having five different banks on stage. We would give the trader $2,000 and ask them to put their money in one of the banks. Depending on which bank they chose would determine what happens to their money. Each bank has a hidden multiplier in it. The biggest multiplier would be a x5, meaning if the Trader put their money in that bank they would win $10,000. The other banks would contain lesser multipliers and zonks. If a zonk is chosen, the contestant would lose all their money. The "bank" portion of the game worked well, but we didn't like handing the Trader $2,000 to start. We wanted them to earn it. That's when we decided to add a "front game" to "Money in the Bank". To earn the money, Traders are presented with four statements and four money amounts. They must correctly assign each money amount to a statement. Each time they're right, they win $500. If they get all four right, they'll win the maximum amount, $2,000. Once they have earned their money, they can decide to keep it, or put their money in the bank. As with all of the elements on Let's Make a Deal, it's a team effort for something to get on television. After the producers developed "Money in the Bank", we showed it to our Art Department. They took our crude drawing on a whiteboard and turned it into a full fledged set design. 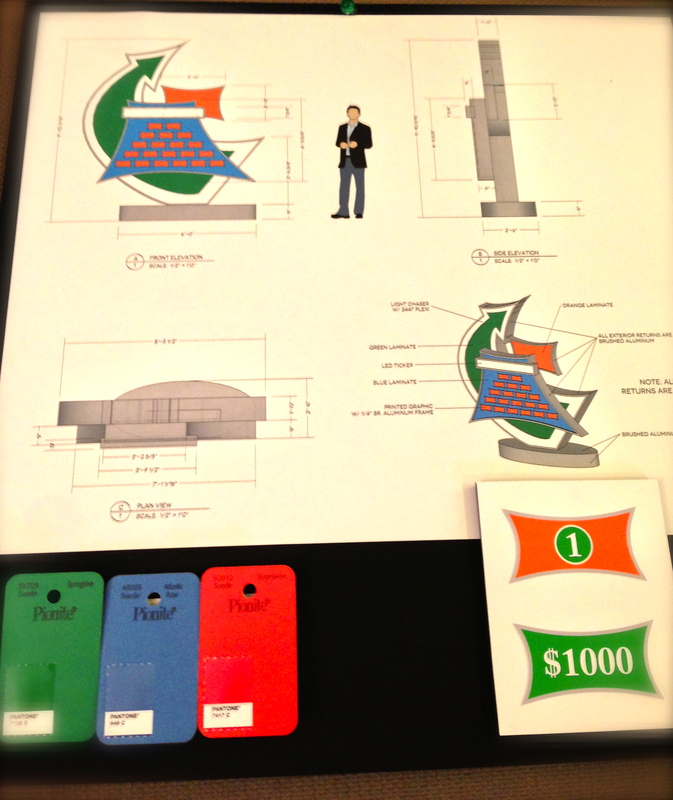 Once the design was approved by our Executive Producers, the set piece was constructed and the game was put into the show. Although we taped our first "Money in the Bank" game in August, it won't make its television debut until November 1st. Until then, we hope you enjoy the beginning of our fourth season which starts this Monday, September 24th. 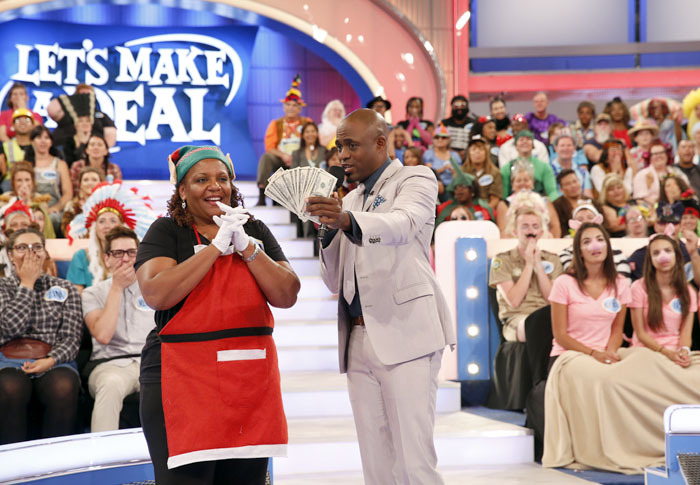 As always, follow us on Twitter @LetsMakeDealCBS and join our official fan page page on Facebook at facebook.com/LetsMakeADealCBS. Thanks for watching, and keep on dealing! 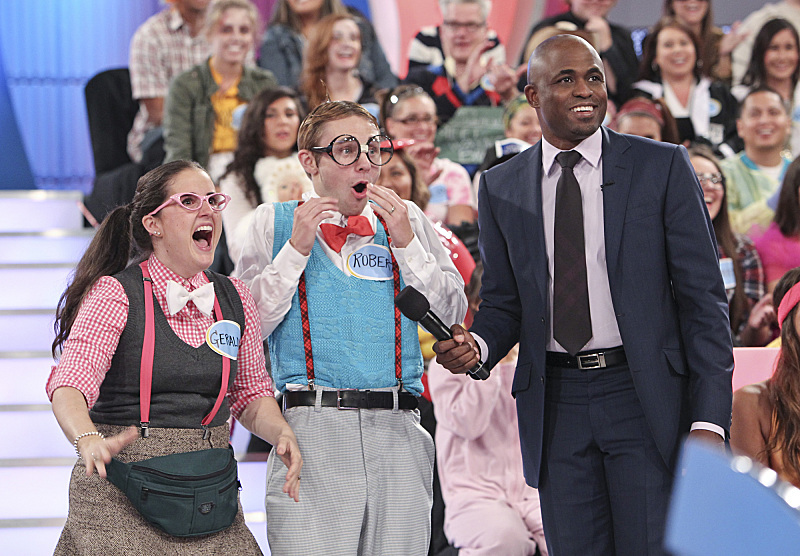 Another number we were very happy about is 2 - as in 2 Daytime Emmy nominations, for Outstanding Game Show and Outstanding Game Show Host (the one and only Wayne Brady). The Daytime Emmy ceremony was held in June in Beverly Hills. 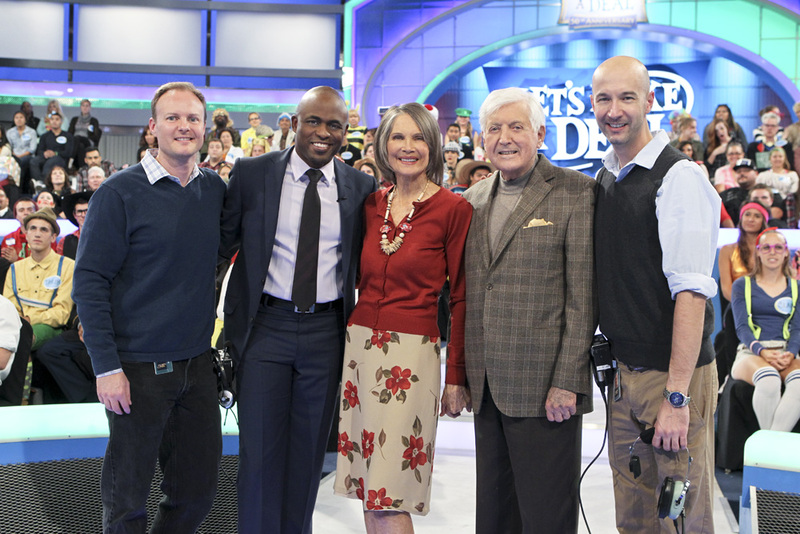 Our director and several of us producers were joined by Jonathan Mangum, Tiffany Coyne, Let's Make a Deal creator and original host Monty Hall, and his wife Marilyn. Although we didn't take home the trophy, we still had a great time and were excited and humbled to be there. And we'd love to see you here in our stage at Sunset Bronson Studios in Hollywood. Taping for season 4 begins August 1st. We're going to try to give away even more this year! If you can't make it in person, you can participate by joining us on Facebook or Twitter. And, if you have a great idea for a Zonk, send us your idea via cbs.com/zonk. Your idea might just end up on the air! In fact, you'll see a viewer-submitted Zonk on the very first show of season 4! 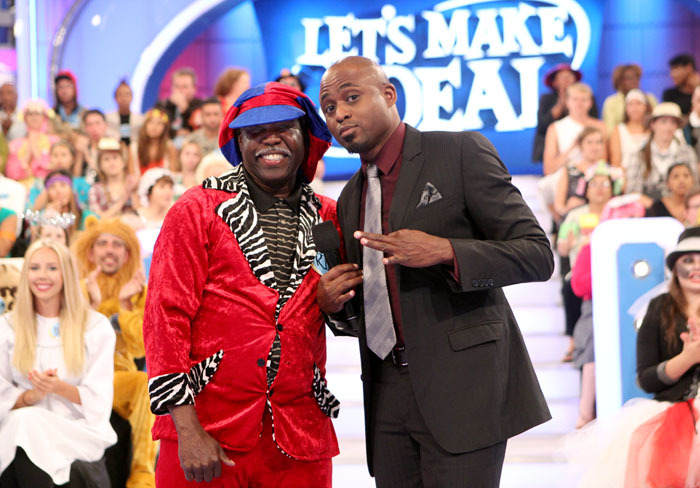 The end of March brings a special treat to fans of the original Let's Make a Deal, the return of the "Super Deal". For those of you not familiar with the Super Deal, let me take a moment to explain how it works. 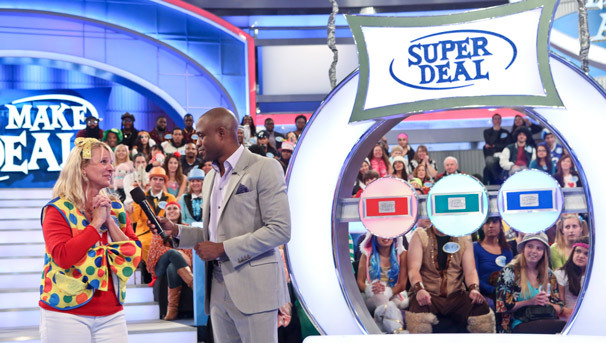 If a Trader goes on to win the Big Deal, they will be offered a chance to play for the Super Deal. In our version of the game, the Super Deal is a choice between three envelopes – Ruby, Sapphire, and Emerald. Inside each envelope is a cash amount - $1,000, $2,000, or the top prize of $50,000! If the Trader picks the envelope with $50,000, they win the cash PLUS their Big Deal. However, if the Trader picks one of the lesser cash amounts, they lose their Big Deal and only get the money. Keep a deal worth over $20,000, or possibly give it up for a chance to increase your winnings to over $70,000? It's an incredibly tough choice, and one of the most intense moments on any game show. Behind the scenes, the addition of the Super Deal was just as intense. We had talked about the Super Deal as early as season one of LMAD, but we weren't sure it would fit into this version of the show. So, what changed our minds? To be honest, we wanted to celebrate! We are part of a heritage that dates back to 1963 and we had just crossed our own milestone – our 500th episode. What better way to celebrate than to bring back an element of our history while giving it a fresh look for today's audience? But, we were nearing the end of our season so we had to act fast! We needed to build a new set piece and have technical rehearsals in just a matter of weeks. That's no small task on any TV show! Thankfully, we have one of the best Art Departments in all of Hollywood, and in no time, the Super Deal was born. The last piece of the puzzle is still to come, and that's you, the audience. I can tell you this; our studio audiences LOVED the Super Deal. We can only hope that you at home feel the same way. The Super Deal will only be on the show for two weeks, so make sure you catch it while you can. As always, be sure to tell us what you think on our Official Facebook page, or on our Twitter account @LetsMakeDealCBS. If you've been watching CBS lately, you know that the Grammy Awards air on February 12 on CBS. We have our own special episode of Let's Make a Deal coming up on Friday, February 10, in which we salute the Grammy Awards. During the show, Wayne Brady (who's a previous Grammy nominee, BTW) welcomes Grammy-winning singer Kenny Loggins to our stage. Kenny's rocking performance inspires some of our contestants to cut loose. And considering they were wearing crazy costumes at the time, that's saying something. Don't miss it. Then, the deals are alive with the sound of music again on February 14, for our Valentine's Day show. One lucky couple tries to win an incredible trip to New York, including an exclusive, behind-the-scenes experience with the cast of the Broadway musical "Chicago". And, to give our contestants a taste of the show, Wayne (who's played the "Chicago" character Billy Flynn on Broadway) treats them to a full-blown production number from the show with some of the cast of "Chicago", who flew out to Los Angeles just to be a part of this special episode of LMAD. Find out if our couple wins the trip on Tuesday, February 14. Recently, we tweeted a question, asking whether you'd rather win a big car or a big pile of cash. We got a lot of responses on our Facebook page. The conclusion – you like cash. So, I think you'll really like our Super Deal episodes, which start next month. More on that next time. 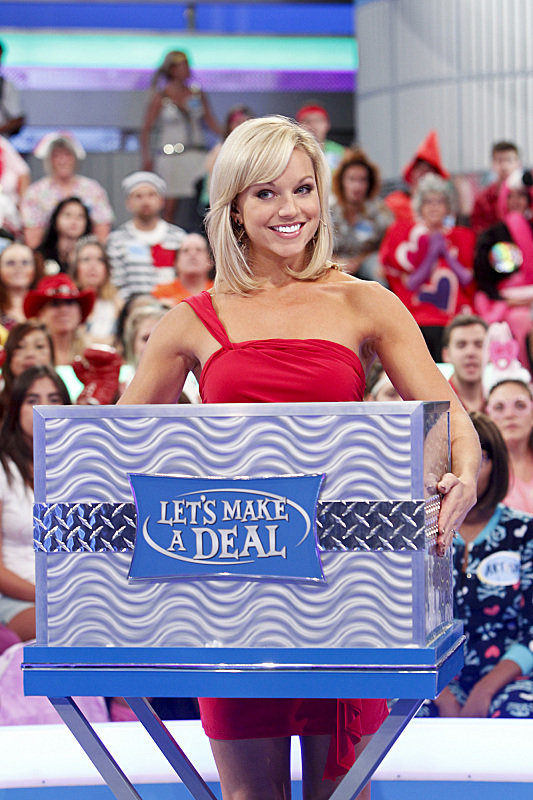 As always, you can join the discussion on our Official Facebook page or on our Twitter account @LetsMakeDealCBS. Happy New Year from all of us at Let's Make a Deal! 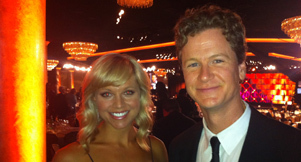 We're starting 2012 in a big way as we'll be airing our special crossover episodes with The Bold and the Beautiful. This is the first time we've done anything like this on LMAD, and we had a blast! It all starts on Tuesday, January 17th when Tiffany Coyne appears on B&B and encourages Pam and Nick (Alley Mills and Jack Wagner) to be contestants on LMAD. On the following day, Wednesday, January 18th, you'll see Pam and Nick compete as LMAD contestants on The Bold and the Beautiful. This segment was a lot of fun for us to produce. It was taped just like an actual deal featuring Wayne, Jonathan, and Tiffany. We used an audience full of real contestants who were happy to help out Pam and Nick by telling them which box or curtain to choose. Alley and Jack were great sports and Alley even baked her world famous lemon bars for the LMAD crew. They were delicious! On Friday, January 20th, Jack appears on LMAD to give away a once in a lifetime prize for a walk-on roll on The Bold and the Beautiful. Jack even stays around to do quickie deals at the end of the show, and let me tell you, he was a natural! To summarize: Set your DVR for The Bold and The Beautiful on January 17th and 18th and catch Jack Wagner on LMAD on January 20th. As always, let us know what you think of these special episodes by leaving us messages on our Official Facebook page or on our Twitter account @LetsMakeDealCBS. From all of us at LMAD, we hope you have a prosperous 2012 and may your entire year be Zonk free! Season's Greetings from the LMAD team! We hope you and yours have a terrific holiday this year. If you find yourself watching TV this holiday season, we have a couple of special shows you might be interested in. During the week leading up to Christmas, we have our traditional Christmas episode, full of holiday cheer. And, that same week, you'll see the first-ever Let's Make a Deal – Family Edition. For one episode, we had parents and kids make deals together. This was one of our favorite episodes of the season. You can't go wrong with little kids in costumes jumping up and down. And, just to keep you in the loop, we have some big shows coming up in the new year. We have some special guests stopping by in February for Valentine's Day and for our episode saluting the Grammy Awards. And, to celebrate our 500 plus episodes on CBS, we're introducing a new feature for 2 weeks only, beginning with our 500th episode. It was actually introduced by Monty Hall on the original Let's Make a Deal in the ‘70s. It's called the Super Deal, and it involves big risk and BIG cash. We look forward to telling you more about these shows as the time gets closer. In the meantime, don't forget to follow us on Twitter @LetsMakeDealCBS and our official Facebook page, and Happy Holidays! 5 - The average number of times Traders say "Go big or go home" in an episode. We've heard this phrase so much that we decided to make a game out of it. Traders play a giant board game where they could "Go Big" and win a brand new car or "Go Home" and lose everything. 4 – The maximum number of "car" spaces on "Go for a Spin". 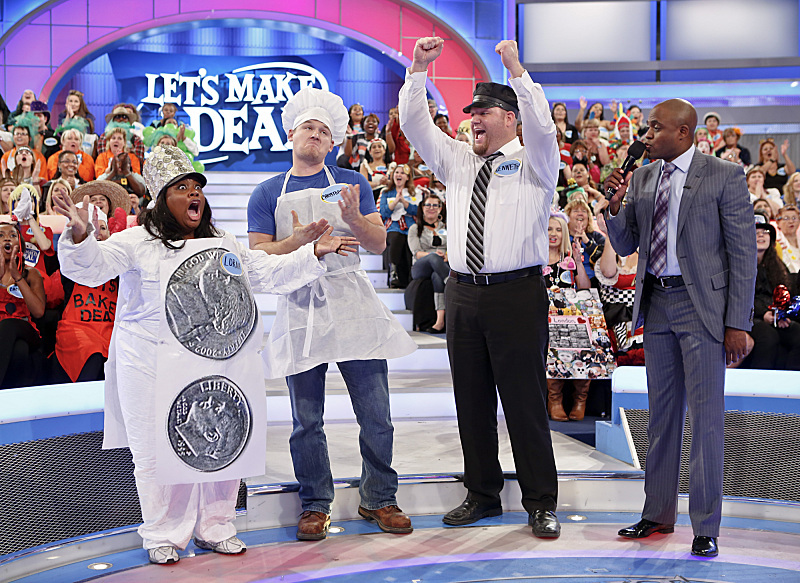 Our first "wheel" game on LMAD features a ton of cash and plenty of Zonks. However, Traders can change those Zonks into "Car" spaces by correctly predicting the results of an in studio poll. 3 – The number of letters in our new keyboard player's name – Cat. 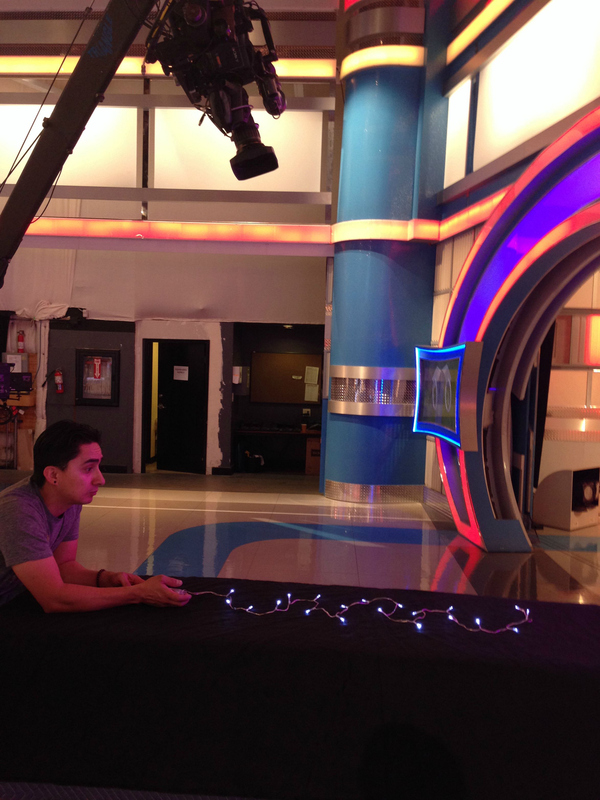 Cat joined the LMAD team at the start of season three, and his presence was felt immediately. His ability to add music at a moment's notice is invaluable, and he's always at the ready to accompany Wayne or Jonathan in an impromptu song. 2 – The number of items needed to "Strike a Match" and win a prize. This brand new memory game challenges Traders to remember where they saw prize cards on a 24 space game board. 1 – One brand new place to make deals. It's possibly the biggest cosmetic change we've made to the show this season. We call it "the pod". The pod is one centralized area of the audience where Wayne makes a majority of the deals. It's a great space that accommodates multiple traders, game boards, small boxes, and anything else we can think of! Season three of "Let's Make a Deal" started September 19th. Be sure to let us know what you think about all of our new additions for this season. Leave us a message at CBS.com or Facebook, and be sure to follow us on Twitter @letsmakedealcbs. The official countdown to the start of 'Let's Make a Deal' season 3! 10 – $10,000 was the previous amount of money we played for on our game "Smash for Cash". But, this season the top prize is a whopping $20,000! All that money just for smashing a few piggy banks? Now, that's a deal! 9 – The number of 'cups' used in our brand new game 'Car Pong'. If Traders can sink a ping pong ball into the center cup on the table, they walk away with a brand new car. This game is extremely addictive to play and is already a huge hit with our in studio audiences. 8 – The typical number of quickie items we tweet about each week. If you're coming to a taping and don't follow us on Twitter, now's a good time to start! Each night before taping, we tweet two items that we'll be looking for during quickie deals. 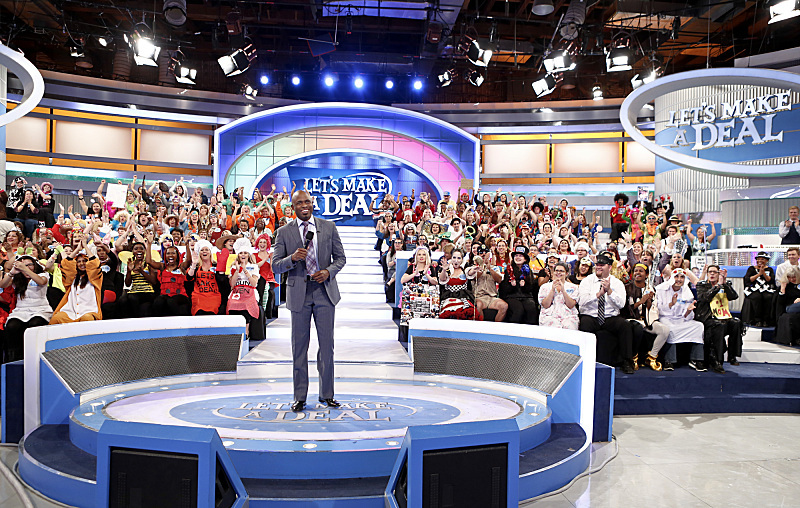 Be in the know and follow us at @letsmakedealcbs. 7 – The average number of rolls it takes to play our new game 'Dice Duel'. This is a competitive dice rolling competition with over $15,000 up for grabs. When the winning player is crowned, will they keep their cash or trade for what's behind the curtain? 6 – Since 1963, LMAD has been seen on U.S. television at least once every decade. That's six decades of making deals! We're proud to be contributing to the legacy of the show and thrilled that we'll be celebrating our very own 500th episode in 2012. The final five countdown items will be posted later this week. Until then, be sure to follow us on our official Facebook page and on Twitter @letsmakedealcbs.